Michel's Patisserie Springwood joined our Mission to help provide access to “Clean Water for All by 2030”. This Mission was initiated by the United Nations. A big thank you to Michel's Patisserie Springwood’s team and customers for joining this extremely important mission on 11 December 2017. Michel’s Patisserie was created by French visionary Michel Cattoen, who wanted to share with the world his passion for exquisite sweet delicacies. Creating mouth-watering flavours influenced by the very best European kitchens, his dream soon came to life in Australia. Bon Appétit. 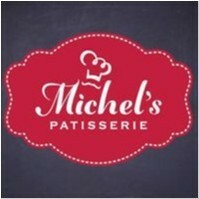 Michel’s Patisserie prides itself on bringing your special occasion to life; no matter how big or small. From our delicious sweet treats or heart-warming savouries, to our range of customisable whole cakes, we aim to provide a service that will allow you to surprise and delight your special someone no matter what the occasion. Come and share a moment in store with your friends and family and enjoy one of our delectable small cakes, slice of our decadent Cake of the Day, a heart-warming savoury or an award-winning Michel’s Espresso. National expansion was undertaken in 1990 and in 2007 Retail Food Group (RFG) acquired the franchise network which now operates more than 250 stores across the globe. In 2013 Michel’s Patisserie underwent the single biggest transformation in its history to bring forward its French inspired heritage. With an exciting new store look, brand livery and delicious new Patisserie products, Michel’s Patisserie continues to be there for every occasion.